For over 25 years, Kleid Design Group has created exceptional custom cabinetry and interior architecture design solutions to enhance every room in your home. *Authorized Medallion Cabinetry Dealer* Christopher Crawford Construction has been designing custom kitchens for over 20 years. Chris discovered his passion for construction after an historic landmark in his home town was destroyed in a fire. Chris was asked to rebuild the store, and Christopher Crawford Construction was founded. Since then Chris’ commitment to building and strengthening his community has been the foundation of his business. 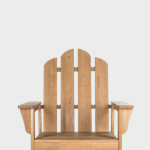 He is committed to fair pricing, high quality craftsmanship, and using materials that are made in America. SAWN Custom Woodwork is a boutique cabinet maker offering one-of-a-kind touches alongside practical, highly functional designs. This company of 3 people allows for artisan quality on cabinetry. Whether you are remodeling your current home or building a new one, our knowledgeable, professional staff can help you design and build the kitchen or bathroom of your dreams. We also do custom closets, home offices, entertainment centers and more. We have designers on staff at our design showroom to help in full new home construction, Remodels and Planning, etc. Products on the showroom floor include: Cabinetry, Flooring, Tile, Appliances, Plumbing Fixtures, Hardware and more! 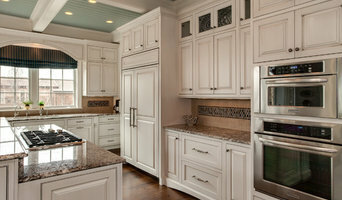 We at Dickinson Cabinetry offer the ideal solution for every custom cabinetry need. Our attention to detail-from project inception to project completion-guarantees exquisite, enduring results. Our capabilities cover a wide range of styles and wood species. Whether the job starts with a complete set of plans listing exact specifications or a vague idea and a rough sketch, we offer design assistance with attention to every detail to insure that our client gets exactly what they had in mind. Only the finest in material and well known name-brand hardware is used in WoodMaster cabinets. 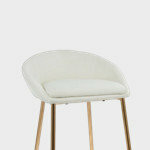 We feel that using "low priced" materials only produces a "low quality" product, no matter how good the workmanship is. By choosing WoodMaster, you can be assured that you’re getting only the best. Customer satisfaction will always be our main goal on every job no matter how big or how small! M&M Cabinets designs and builds true high quality, custom cabinetry for new homes, offices or for special renovations/remodels. 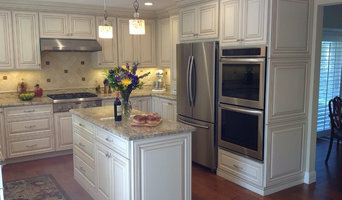 We design and fabricate the cabinetry to our client's wants and specifications. We work closely with home or office owners, architects, interior designers and/or contractors. We start the project working with either sketches or architect/contractor blueprints (see a list of our frequent business partners), then generate our own compatible blueprints using our latest computer CAD system that helps us control parts, assembly and overall quality of the project. Our custom work includes, but is not limited to - kitchen cabinets, bathrooms, home theaters, bars, libraries, closets, utility rooms and garages. Each project includes the designing, building, wood finishing, delivery, installation and post installation support. All of our products come with a 10 year limited warranty. 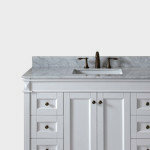 Doolittle Design is a specialized cabinetry design practice based in the San Francisco Bay Area. 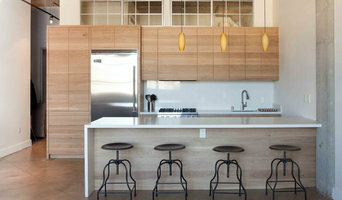 We design and build plywood cabinetry that is tailored to your lifestyle and unique personality. We achieve this by developing a deep understanding of how you live, interact and function within your space. For the home office, closets and garage, we recommend a modular system, allowing you to reconfigure the arrangement as your needs evolve. Spaces like the kitchen, bath and living areas demand a more formal, built-in solution. With both approaches, we create cabinetry designed for your life and your needs. Home Office Our new line of modular, home office cabinetry features clean, modern design; high-quality plywood; and uses a support-pole hardware system. 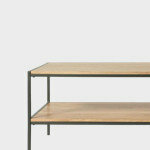 Drawer units, shelves, and work surfaces can be added or removed as your needs evolve. You can even take it with you if you move. Garage Our garage cabinetry is the perfect staging area for your family’s special interests. Hobbies, sports, camping, biking—however you spend your free time, this system provides ample tall cabinets for items you want to keep out of sight and open storage for more frequently used items. Closets For small closets, we have a stackable, reconfigurable casework solution. In larger closets we typically install more formal cabinets that use a support-pole hardware system. With either solution, you can remove or replace drawers, shelves, and cubbies as your needs evolve. Kitchens Our kitchen line is all about user efficiency. The uppers include integrated under-cabinet lighting (when possible) and underside handle cutouts to maintain simplicity. For the lower cabinets, you have a choice of handle cutouts or simple metal pulls. Our drawers are made from 3/4-inch plywood sides, 1/2-inch bottoms, and feature soft-close European drawer guides. At Doolittle Design, we believe cabinetry should follow a path of sustainability, and each of our lines fit perfectly with that mission. We use—almost exclusively—a high-quality brand of multi-layered plywood that’s extremely durable. 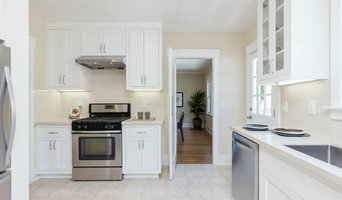 It gives our cabinets an exposed-edge detail that our modern clients love. Marrying high-quality products and durable construction methods with timeless design lets us achieve a longer product lifecycle. And while we alone will never rid the world of disposable cabinetry, we’re working on it: one kitchen, one closet, one garage, one office at a time. Here at Caliber Cabinets, Inc. we listen to your needs and desires and we put them to use when designing and making your custom cabinets. We are the professionals, but this is your vision, and we go above and beyond to create it just as you have imagined. We specialize in design from anything modern and clean to classic and elegant, however, we don't stop there. We make sure to incorporate the functionality you require to meet your everyday needs. With a wide variety of woods, door styles, moldings, colors, hardware and more to choose from, we provide you with many options to insure that each project is truly suited to your needs. We specialize in interior woodwork from garage storage builds, industrial workspaces, to unique custom cabinets. Every project is crafted with care, intended to endure and created to be beautiful. Handbuilt modern cabinetry sourced and made in the USA. Design your dream kitchen on our website today! Custom cabinetry and furniture. Architectural woodworking and design. Bay Area Wooden Solution has more than a decade of experience providing high quality residential and commercial wooden solution services. We offer state of the art technology, superior quality products and equipment, competitive prices, and excellent customer service. We take great pride in our attention to customers satisfaction, staying up to date with regular training in the latest designs and methods and technology. We always have had long term relationship with our customers and get recommended by them. More than any media today we get jobs from word of mouth. We deal with different the kinds of custom designed furniture ranging from TV Cabinets, Entertainment system, Garage cabinets, Custom room closets and organizers, custom build offices and temples too. All this in unbeatable price, uncompromising superior quality and quick turnaround time with free installation.